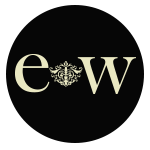 We offer luxury facials at EW using exclusive spa products by Temple Spa. Each facial is tailored to compliment your skin type which our therapist will help you discover through a full skin analysis. The products used can be ordered through our in house Temple Spa consultant. Please enquire for further details. Massage has been used for centuries as an instinctive way to relieve muscle tension and to relax the body and mind. The method of Swedish massage uses a variety of stroking, kneading, pressure and flowing movements over the body to treat and prevent a huge variety of complaints, or can simply be used for deep relaxation. At Elixir White we use both methods of hot waxing and warm waxing. We also provide facial threading. We use the award winning, 98% organic tan Fake Bake at EW. A spray tan is the fastest, most convenient & most flawless way to false tan. Please wear loose, dark clothing, and exfoliate 24 hours prior to your tan. Ensure your are not wearing any make up, moisturiser or deodorant. Allow 15 minutes for each procedure. Retail Fake Bake products are available in the salon. Enhance your whole face with the luxury of lash extensions. We offer both 3D semi- permanent lash extensions & weekend lashes. 3D lashes by H Francis create longer, thicker, fuller, more defined & natural looks, depending on your preference. These can last up to 2 months. Weekend lashes are ideal for that special occasion for a glamorous party look and last for the weekend. Patch test required.